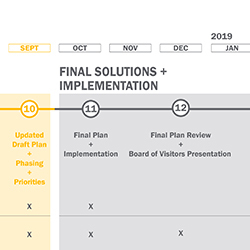 The Virginia Commonwealth University Board of Visitors approved the ONE VCU Master Plan, a document that will guide the physical development of the Monroe Park and MCV campuses. See the full ONE VCU Master Plan report or download the PDF. VCU Vice President for Administration Meredith Weiss presented a draft of the ONE VCU Master Plan to VCU’s Board of Visitors in December. Initial reactions from the Board were positive, with some Board members noting VCU’s powerful campus transformation and the impact of the university’s physical environment on the student and patient experience. See the full BOV presentation. The VCU Board of Visitors meets again in March 2019. Visit the Progress page to read all of our updates. 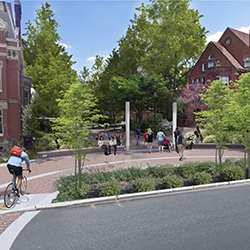 Do you want to provide feedback about the final ONE VCU Master Plan?